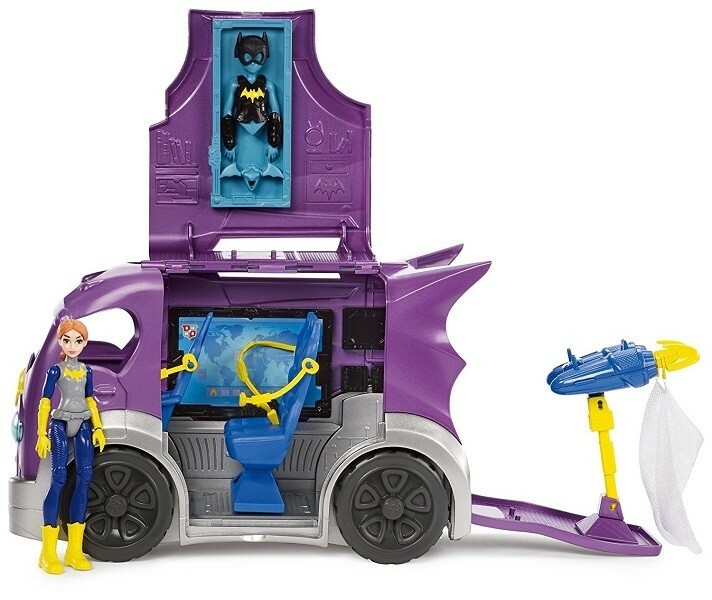 This Batgirl action figure is ready to ride into action with her headquarters on wheels! With so many cool features and gadgets, this transforming vehicle showcases the tech genius' skills and abilities. 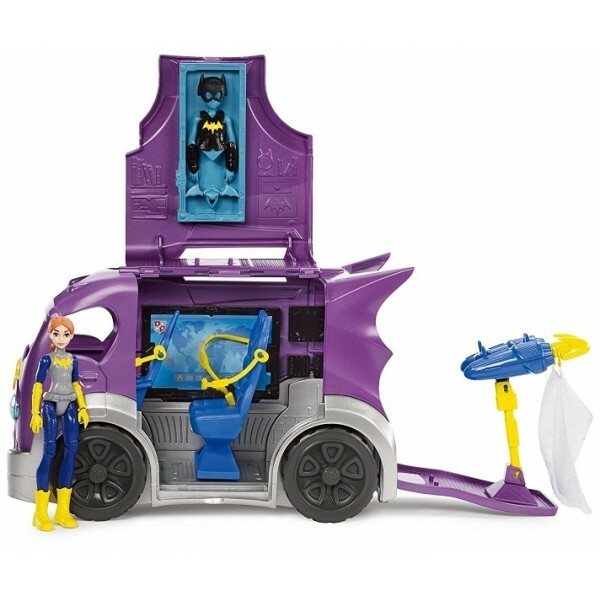 When a mission comes in, Batgirl action figure can hop into the driver's seat and take off in the van. 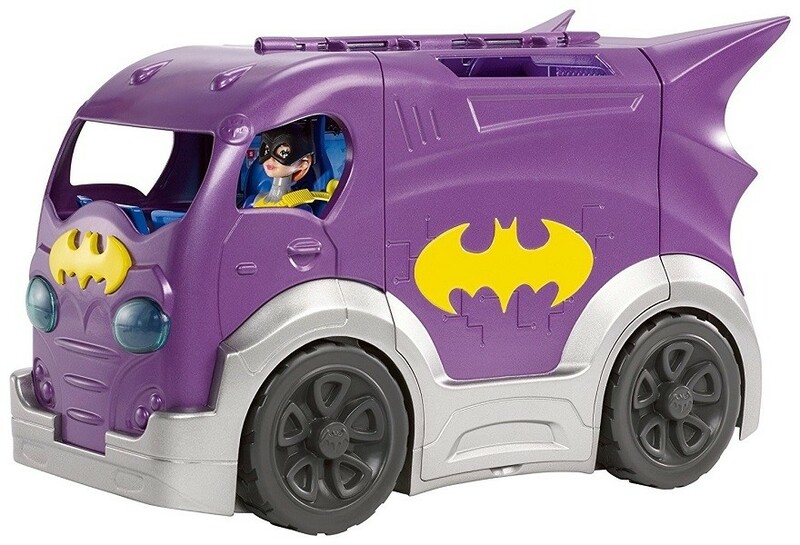 Its wheels roll, and its design is signature Batgirl -- cool purple with blue accents and a yellow bat-shaped symbol on the side. When it's time to set up headquarters, park, flip down the back and open the side up to set up two stories of mission fun. The driver's seat becomes a cockpit that can swing around to face the passenger seat for a two-person briefing before the information screens. 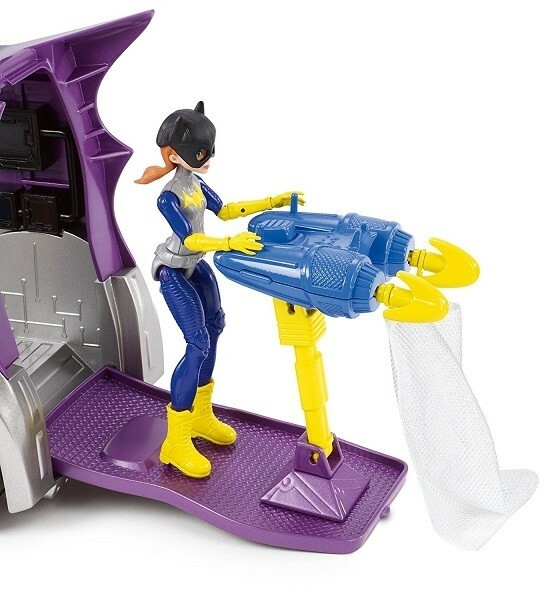 The roof hides mission gear for Batgirl action figure that includes body armor, gauntlets, a bat-shaped mask and bat-shaped wings -- simply snap the pieces on over her signature Super Hero suit to head into adventure. And the back reveals a net launcher, perfect for nabbing your villain!